If your child is due to start secondary school in September 2019, you only have a couple of weeks left to get your application in. Don't leave it too late - the deadline is midnight on Wednesday 31 October and you can apply online. 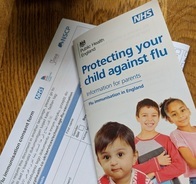 Have you given consent for your child's flu vaccination? Flu vaccines for children now being rolled out to schools across the South West. Make sure your child is protected and doesn’t miss out. If you have a child who is of eligible age, make sure you sign the consent form allowing them to have the flu vaccine at school. Flu can be nasty for little children. Children also tend to be super-spreaders of flu so if they get it, they are likely to infect more vulnerable older family members. The flu vaccine will help protect your child from flu and also reduce the chance of it spreading to others. For most children, the flu vaccine is not usually an injection, just a quick and easy nasal spray. Children aged 2 and 3 receive the vaccine through their GP, and children in reception and years 1, 2, 3, 4 and 5 receive it in school. Pregnant women should also have the vaccination to protect them and their unborn child. If you are eligible for the flu vaccine, get it now. Contact your local surgery, pharmacist or midwife to get it. 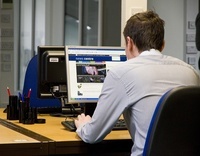 Could you help us improve our online services? Do you use Devon County Council's online services? Do you have an hour to spare? We're looking for volunteers who are willing to show us how they complete simple tasks online and help us improve our services!